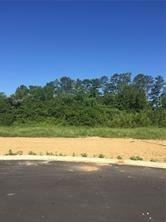 New Commercial Lots in City of Calhoun. Conveniently located on Curtis Pkwy near I-75, Hwy 53, & Red Bud Road. Ideal Location for Medical or Retail. High Traffic Counts. Listing provided courtesy of Childress Real Estate, Llc..